The art of acupuncture is a part of Chinese traditional medicine and it has been around for the past thousand years or more. You will find that it was just recently accepted in the western world, especially the United States. However, the needles will not impregnate you, but it will allow you to let go of all your negativity and your body will begin to open it up. You will find that acupuncture will help both male and females with infertility problems. In fact, many people are turning to acupuncture as a way to help them conceive. Most of the time, you will find that it’s older women who wish to have a child that tries this. This can be quite successful, especially when used in conjunction with more typical child-bearing-friendly activities such as eating a healthy diet. If you have fallopian tubes blockage or just a hormone imbalance, you will find that acupuncture could be prescribed to you. Along with acupuncture, women can use other TCM methods in order to battle infertility. Men can also benefit from acupuncture. Acupuncture with male infertility will be treated for low sperm count and it is very popular. Acupuncture, in this case, is used along with herbs to treat the energy of the kidneys. When it comes to acupuncture you will find that your whole body is affected by a little bit of negativity, and that is why infertility will affect the way your whole body reacts. Rather than treating the symptoms of a disease in the body, acupuncture seeks to find the root of the problem and treat that. 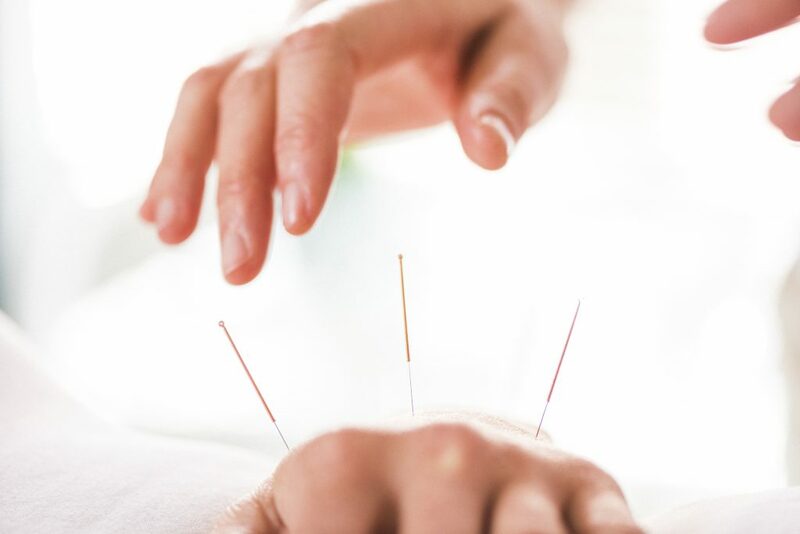 Acupuncture can also be used to create a healthier body in general—it may not cure you of your infertility problems, but by becoming healthier in general (less stressed, for example), traditional treatments for infertility have a better chance of working. Acupuncture will help even if you are thinking about getting artificially inseminated or using other methods of conceiving because your entire body is in a good place. After conception, certain types of acupuncture can still be done and can help relieve back pain, curb cravings, and create a better environment for your fetus. After you have the baby your energy is thrown off, and you will want to go to an acupuncturist so that you can get quickly over postpartum depression and other negative feelings. Acupuncture happens to be a tool that couples use throughout the entire pregnancy (before and after). This is not for everyone, but it is a method that has been studied very carefully and it does have a high success rate. You will want to make sure that you research acupuncture and ask your doctor for any advice about the treatment. You may find that acupuncture could allow you to conceive quickly and you will be able to enjoy having a child.